WHEN MARY JANE MCCALLUM [DMD/90] graduated from the U of M in 1990 as Canada’s first female Indigenous dentist, it was a proud achievement. 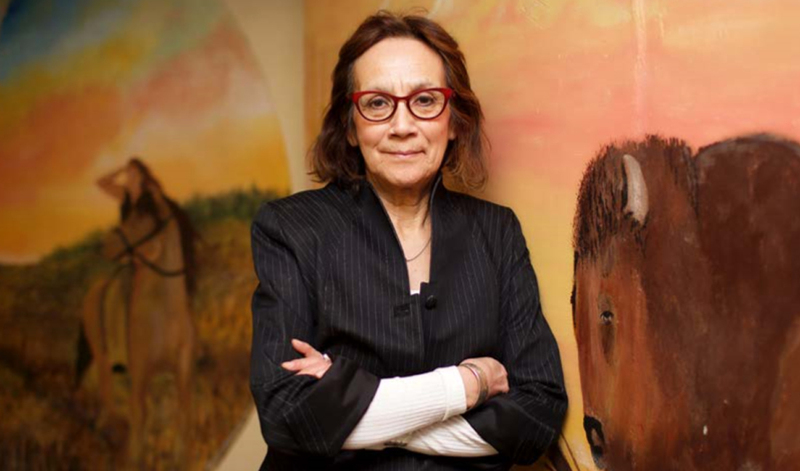 But the trailblazing Cree alumna, now 66 years old and a Canadian senator, isn’t proud of how she practised dentistry for her first dozen or so years. Then McCallum began to recognize that her rote “drill and fill” method of treating Indigenous suffering was doing nothing to stem the tide of oral disease. She saw that the deeper issue was mental and spiritual pain, rooted in racism, trauma and loss inflicted by colonization. “I realized that I had to change,” says the soft-spoken leader. “I had to see the person as a human being. What did they want out of this care I was giving them?” McCallum, whose home community is the far-northern Barren Lands First Nation in Brochet, Man., had her own healing to do as a former student of a culture-negating residential school. Resolving to let go of anger and draw strength from traditional teachings, she started asking her patients about their experiences and needs. They talked about inadequate food and housing, violence, addiction, broken families and loss of traditional ways. Many were struggling with multiple health conditions. Sometimes, the dentist spent the whole appointment listening. “I learned so much from my patients,” she says. As McCallum shifted to a more holistic approach, she became a community organizer and social justice advocate. From 2003 to 2010 she practised in Brochet, where she planned community dinners as a forum for consulting with Elders about local issues. Since then, she has practised at the Opaskwayak Cree Nation reserve near The Pas, Man. After applying to become an independent senator representing Manitoba, she was appointed in December 2017. 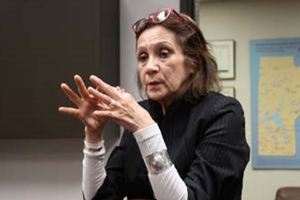 “I want to bring forward what I’ve learned at the community level,” she said during a visit to Ongomiizwin, the Indigenous Institute of Health and Healing in the U of M’s Rady Faculty of Health Sciences. McCallum has decades of experience in promoting oral health care. Before earning her dentistry degree, she trained and worked as a dental nurse, then a dental therapist. The way to improve the health of First Nations, Inuit and Métis people, she says, is to address the social determinants of health, such as housing, employment and education. But that approach will only succeed through decolonizing frameworks like the health-care system and reclaiming traditional teachings. “If every single Indigenous person had a home, a job and was educated, it wouldn’t mean anything without spiritual healing. We used to have self-care. I remember it from when I was a young child. How do we go back to it? McCallum says she is honoured to serve as one of Manitoba’s six senators in Ottawa, where she sits on the Standing Senate Committee on Aboriginal Peoples. She recently took courses on peacebuilding. “It has really helped me to learn grace,” she says. Catherine Cook [MD/87], vice-dean, Indigenous health at the U of M, has known McCallum since they were students together. She has a high regard for the senator’s calm, dignified leadership. The senator raised two daughters who are both lawyers now. A great sadness in her life is that back in the 1970s when she wasn’t living in a good way, she gave up a son for adoption. About two years ago, she was able to reconnect with him. “Restoring our relationship is like healing the relationship between Canada and Indigenous peoples,” she says. “There are boundaries. We need to tread lightly as we’re making progress. You don’t overstep the privilege of that relationship, because it’s already wounded on both sides. As for the national relationship, with mutual respect, she says, “We can have a conversation with Canada and move toward reconciliation and unity. The U of M has taken a leadership role in implementing the Truth and Reconciliation Commission Calls to Action, which I’m hoping we’ll do in the Senate as well.